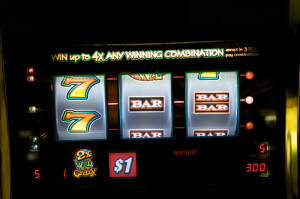 Somehow I lived this long without gambling (unless you count the occasional football pool). Never placed a bet on a slot machine. While I’m here in Las Vegas attending Shine, I spent some time with Jeanette Cates, an established and highly successful Internet marketer. After working through my own makeover (and making some mistakes of my own!) I identified 5 mistakes most business owners make during a website make-up or make-over. Mistake #1: Starting too late. — No longer excited about sharing my logo and website with the world. We have an investment in the past. Economists refer to “sunk costs” when they talk about investments we’ve made that won’t do much to help in the future. For instance, suppose you have invested heavily in the typewriter industry when the world changes and your products are replaced by computers. But the hardest part of all is…deciding how you’ll replace your current brand. What will your new online presence look like? Surprisingly that’s a pretty straightforward problem for a copywriter to solve. Once we get your story, we can draft your website quickly ..and usually get it right the first time. Awhile back I worked with a client who was feeling frustrated. She was getting lost in themes and platforms, let alone headlines and copy. At a friend’s urging she booked a consultation with me, openly nervous about how much we could do. Just a few weeks later she was happily reviewing a draft, presented on a WordPress theme…feeling deeply relieved and happily optimistic about her new future. If you’d like to get started, check out my consultation program here. So far clients have been surprised at how quickly we get to the heart of the matter … and they get to enjoy a new website and use their time more enjoyably (and more profitably). You may have heard this story before. World-class violinist Joshua Bell normally plays to sellout audiences who pay $100 for a single ticket. He agreed to participate in an experiment arranged by the Washington Post. He set up shop as a subway busker, playing a difficult Bach piece on his multi-million dollar violin. Full story here. The Post had been concerned about crowd control, but in fact nobody noticed. To the riders hurrying by, he was just another struggling musician, looking for handouts. So what’s the difference between Bell’s performance at the Symphony Hall and in the subway? As I think about it, Bell’s impromptu performance has many similarities with an online presence. (1) People hurry past and, if they don’t expect great things, they don’t see them. Consumer psychologists refer to anticipation as an influence on perception. That’s why television ads showcase the product: when you see an item on a crowded shelf, you immediately recognize the package and the product. You were introduced via television, whether you were searching or not. Similarly, your articles and book reviews establish anticipation before visitors come to your website or blog. You create expectations. (2) Perception occurs in a context. You can find analogies in all fields: a WNBA player who went to UConn or a finance specialist who went to a premiere tax program. On the Internet, you have an opportunity to give your reader a context to understand the significance of your background. You can go beyond education to show how your experience qualifies you to deliver a service today. (3) You can’t be subtle. This lesson was the hardest for me to learn. Like many people on the Internet, I used to work in an environment where my qualifications were obvious. If I weren’t qualified, I wouldn’t be there. If I didn’t perform well, I’d be gone. But on the Internet, we’re all a little like Joshua Bell in the subway. Few people will recognize great music or great musicians without a label. Bell’s take for a Friday morning 43-minute session was a grand $32.17…nothing like what he commands for a similar stint with a major orchestra. It’s a vivid outcome to an experiment demonstrating the value of context. Learn how to stand out and create your own context in my 21-Point Extreme Copy Makeover – a free download you can claim here. There’s a whole section on how to differentiate yourself from the crowd and become the go-to person in your field. To a copywriter, a bullet is a short sentence or phrase that communicates a promotional idea. Typically you see bullets highlighted with bullet points (small dots), as they would appear in a written business memo. You will also see bullets highlighted with arrows, stars, asterisks, and even special symbols. The graphic you choose doesn’t matter as long as it doesn’t draw attention away from the words of the bullet. For instance, a restaurant probably should avoid using pieces of fruit to highlight bullets; a dog trainer would be advised to avoid highlighting key points with images of dog bones. You begin to reduce your debt *because* you learn to reprogram your relationship with money. Learn three Canine Training Commands *so that* your dog stops chasing motorcycles as if they were sheep. Gain an understanding of your own spending patterns *so that* you begin paying off your debt without effort. More free tips: Click here! Are you a sought-after podcast and telesummit guest? Speaking on a Blog Talk Radio program, network radio program or teleseminar can introduce you to dozens, perhaps hundreds, of potential prospects. Here are some ways to be a perfect guest and maxmize your impact. (1) Be ready when someone calls. Have a topic ready to go. Most hosts will want to see 10 questions and a brief bio with a photograph of you. Even if you won’t be seen, they may want to use the photo on their own public relations materials. Have an opt-in page set up with a URL that’s very easy to say aloud, spell and remember. Now you are ready to go. More than once I’ve had opportunities to speak on shows because I was available as a last-minute replacement. When you can say “yes” without hesitation, more doors will open to you. They may allow you to promote yourself only if they get affiliate commission or they may decline to participate in your offer. They may allow you to promote only free giveaways or they may expect you to make a special offer for audience only.. If the host says, “I want to promote through my affiliate links,” pay attention. Do not send the audience to any other URL. Do not promote any additional products or services, even if you get a question that seems to relate to other products. Never promote your appearances on other shows or programs unless the host specifically asks you to do so. That’s incredibly rude: you are using your host’s show as a platform to promote yourself! For now, you have one host and one commitment. (3) Clarify your role ahead of time. Every so often a host will simply hand over the microphone (virtually!) and say, “Go ahead and speak.” At other times the host will want to have an informal Q&A. Some hosts will be open to changing their format; however, they know their audiences. 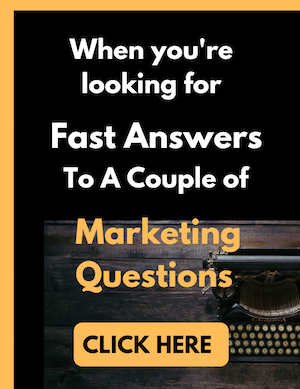 If they want a Q&A, don’t arrive with 17 pages of single-spaced notes that you will read. If you’re an independent professional or service business owner, you face 3 major challenges. First, your best prospects may not be looking for you on the search engines: Yahoo, Google and MSN. Second, your prospects may not realize what you do. Many people think massage is just a feel-good luxury for rich people who have everything. In fact, massage has documented benefits for physical and mental bealth. Third, you can’t afford to sound sales-y. You have to be totally professional. — reach prospects who are searching for solutions but may not be searching for you. Many people think of reading a self-help book rather than hiring a coach or buying a virtual information product. They’re ready to spend. — reach prospects who are ready to buy. Visitors to Amazon and other online bookstores realize they do not get anything free. They shop with one hand on their credit cards and the other on the mouse. When they see your review and click over, they will be in “buy” mode.